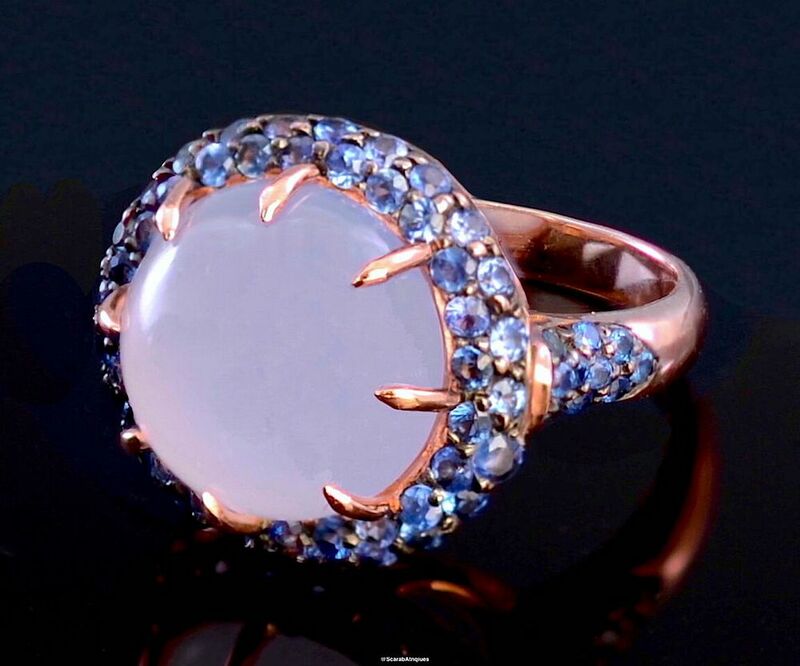 This is a lovely ring designed by Toma for the TCH COLLECTION. 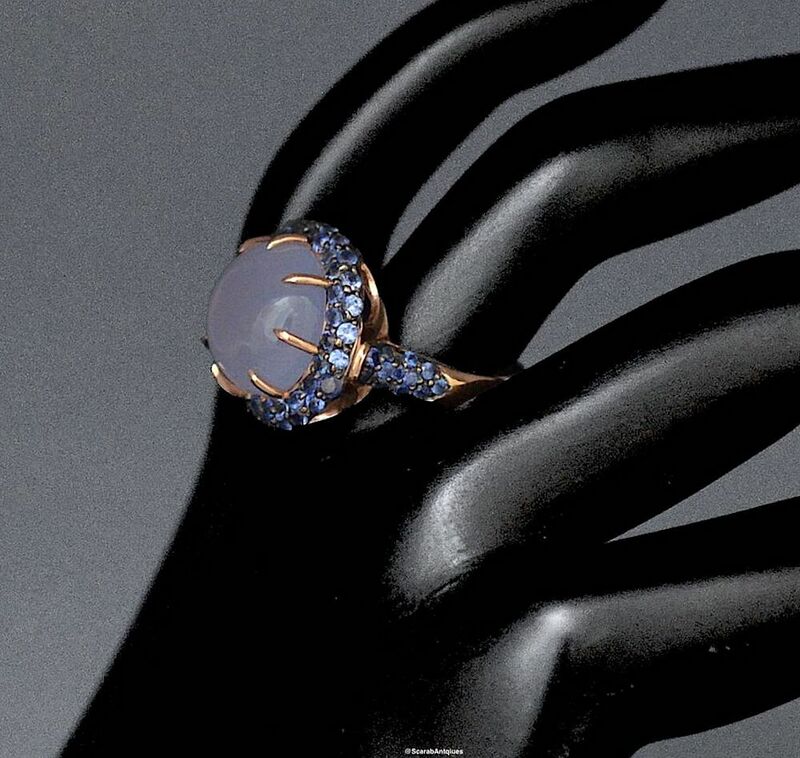 In the centre of the cluster ring is a blue cabochon cut chalcedony surrounded by blue sapphires set in black rhodium above shoulders set with blue sapphires in black rhodium above an 18ct rose gold vermeil shank. Such a classic!